Passengers are looking to new technology to give them more control, information and improve efficiency when they travel, a new survey revealed. Receiving information on flight status (82 per cent), baggage (49 per cent) and waiting time at security/immigration (46 per cent) were identified as passengers’ top three priorities after booking a flight. Real-time baggage tracking throughout the journey was seen as a must for 56 per cent of passengers. Airlines and airports are facilitating this by implementing tracking at major journey points such as loading and unloading (Iata Resolution 753). The industry is also working on developing a global readiness plan for the proposed introduction of RFID inlays in all baggage tags manufactured after January 2020 in order to meet passenger expectations for real-time baggage tracking. Passengers’ preferred option for receiving information on their baggage and other travel elements was via their mobile device. Receiving information via SMS or Smartphone app was preferred by 73 per cent of passengers. Since 2016 there has been a 10 per cent increase in passengers preferring to receive travel information via a smartphone app. The majority of passengers (65 per cent) are willing to share personal data for expedited security and 45 per cent are willing to replace their passports with biometric identification. 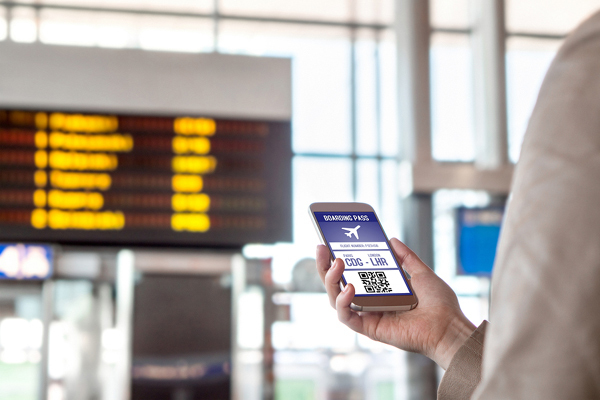 "As we move more and more towards digital processes, passengers need to be confident that their personal data is safe. Iata is working to establish a trust framework that ensures secure data sharing, legal compliance and privacy," said Nick Careen, Iata’s senior vice president for Airport, Passenger, Cargo and Security. Passengers want more self-service options. Automated check-in was preferred by 84 per cent of passengers. Most (47 per cent) prefer to check in online using a smartphone. Only 16 per cent preferred traditional check-in, the survey showed. Some 70 per cent of passengers want self-service baggage check-in while only one in three travellers prefer an agent to tag their bag. The electronic bag tag is growing in popularity - favoured by 39 per cent of passengers (up 8 percentage points from 2017). The overall experience with automated immigration procedures was rated favourably by 74 per cent of passengers. A similar percentage (72 per cent) believe that automated immigration processes are faster and 65 per cent believe they enhance security. The human touch is still preferred by some market segments and for certain situations. For example, senior travellers (65 years and older) have a strong preference for traditional check-in (25 per cent vs global 17 per cent) and bag-drop processes (42 per cent vs global 32 per cent). And when there are travel disruptions, 40 per cent of all age groups of passengers want to resolve the situation over the phone and 37 per cent via face-to-face interaction. Some 43 per cent of passengers prefer to use a travel agency, travel management company or corporate travel department to book their flights. Iata’s Airline New Distribution Capability (NDC) is playing a transformational role in evolving the customer air travel shopping experience and closing the content gap between airline websites and travel agent systems through use of a modern (internet) data transmission standard for communications between airlines and travel agents. NDC will enable airlines to display and sell all of their products in the travel agent channel, including options to allow passengers to personalise their journey around their needs. Passengers identified airport security/border control and boarding processes as two of their biggest pain points when travelling. The top frustrations with security were the intrusiveness of having to remove personal items (57 per cent) the removal of laptops/large electronic devices from cabin bags (48 per cent) and the lack of consistency in screening procedures at different airports (41 per cent). To improve the boarding experience, the top three desires of passengers are more efficient queuing at boarding gates (64 per cent), the availability of overhead space on the aircraft (42 per cent), and not having to queue on the air bridge (33 per cent).